If that’s happening to you, you’re not alone – and we hear this type of thing all the time. In fact, foot and ankle is THE most common problem that we see in our physical therapy clinic. “Why Am I Still Suffering With Foot and Ankle Pain After Putting Up With It For 6 Months (Maybe More)? Most people think that when they get foot and ankle pain, it’s just going to go away on its own. That they’ll wake up one morning and like “magic”, it’ll be as if foot and ankle pain never happened… But then 6 months later you’re still living with foot and ankle pain – often even worse than it was when it came on. But this is rarely ever the best advice and often 6 weeks later, they end up going back to the Doctor again because it hasn’t got any better. Worse, they’re often given yet another prescription of even stronger pills, and advised MORE rest. This is madness and explains why so many people are suffering from chronic foot and ankle pain. Why else does foot and ankle pain last longer than it should do? Well, it’s easy to get confused because you’ve been told different things, by different people. There are lots of people out there who are happy to dispense advice – but not all of it is credible. Maybe you think your foot and ankle pain was caused by doing something – like lifting or sleeping awkwardly – but really it was caused by years and years of poor posture that caused the muscles in your foot and ankle to become weak and the lifting of the awkward sleeping position was just the EFFECT of that. If you don’t know what you’re doing – foot and ankle pain can be very confusing and because of this, many people just end up accepting it as ‘part of life’ – as if it’s normal, and ‘just the way it is’. 2. 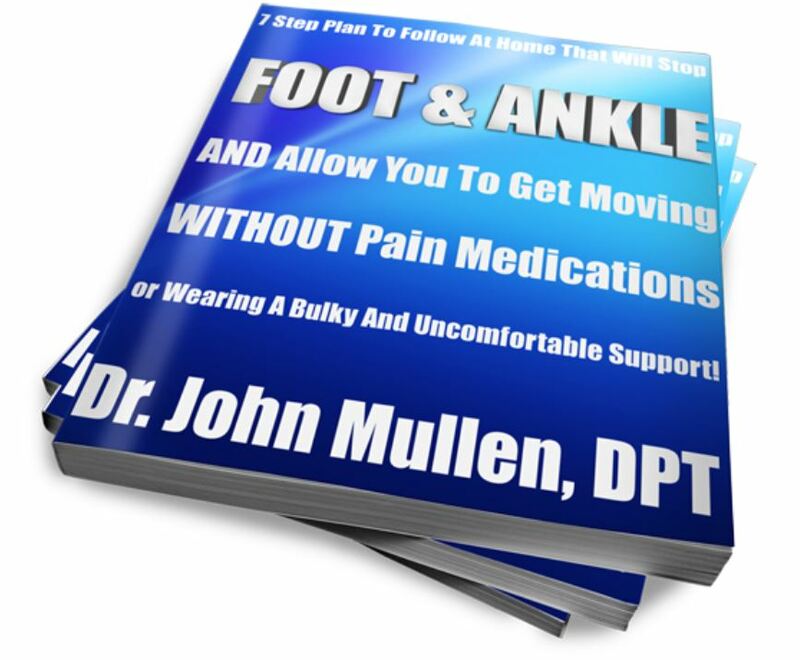 You went to the Doctor who told you to rest and take painkillers – but the pills did nothing to help your foot and ankle, and as soon as they wore off and the chronic foot and ankle pain struck again. 3. A family member, or friend, told you that everybody gets foot and ankle pain as they get older, so you just accepted it. 4. You tried other Healthcare Professionals or physical therapists in the past, but nothing they said or did seemed to help. 5. You tried YouTube exercises but they either didn’t do a thing or made your foot and ankle pain ten times worse. 6. You thought it would be a good idea to rest because your foot and ankle pain was so bad, but all that did was make it feel even stiffer and tight. If any of these have happened to you – we would love to help you by inviting you to book a call to talk with one of our physical therapists at our clinic helping serve Santa Clara, Cupertino, Sunnyvale, San Jose, Palo Alto and the entire Bay Area to find out what can be done to help you. The fact that you’ve tried any or all of these things already is actually a GOOD THING because when you know what doesn’t work – you are closer to finding the thing that does! 1. First off, you need to make a decision about getting help. So many people procrastinate for so long, thinking that foot and ankle pain will ‘just go away with time’, but then 6 months down the line they’re still putting up with it, and nothing’s changed… Or it gets worse. 2. Next, do the RIGHT exercises – one of the best things to help you ease your foot and ankle pain is to do the right series of progressed exercises – the right exercises given to you by a physical therapist will help reduce pain, and allow you to move freely again quick – and make sure that the problems don’t come back anytime soon (or aggravate your back even more like some exercises do). 3. Avoid sitting and long periods of rest – ever tried to get up from the sofa after resting for a while, but you struggle because your calf feels so painful and tight? That’s because one of the worst things you can do that adds to foot and ankle pain is rest, and sit for long periods of time. Too much rest, and sitting in awkward positions make your calf and ankle stiff and tight. It would really help if you were given appropriate strengthening exercises for better posture, alongside hands-on treatment, to get you active and healthy as quickly as possible. 4. Get real, “hands-on” Physical Therapy – physical therapist is proven to help people with foot and ankle pain. In fact, at COR it’s one of the most common injuries we see. If your foot and ankle pain is affecting your job, your ability to keep active, if it threatens your independence or gets in the way of spending quality time with family and friends – Physical Therapy can help get you back to living the life you deserve as quickly as possible. If you would like to know how the Physical Therapy team at COR, our clinic helping serve Santa Clara, Cupertino, Sunnyvale, San Jose, Palo Alto, and the entire Bay Area) can help you live with less foot and ankle pain – we invite you to a free 7 step plan for foot and ankle pain. Basically, we can help you get back to living life free from the curse of chronic foot and ankle pain and instability.